Mass Effect Andromeda is now out, and despite some reviewers criticizing the game’s animations, writing and lackluster missions, at the end of the day it’s clear that Andromeda is more than the sum of its parts and could end up becoming another hit for Bioware this year. And like in earlier Bioware games such as Dragon Age: Inquisition and the previous Mass Effect games, there’s the possibility of romance here. As a matter of fact players can get to form relationships and get intimate with several members of the Tempest’s crew. These include lieutenant Cora Harper, a biotics specialist who’s one of the most reliable squad mates you can take on missions. There’s also the jovial Peebee, a blue-skinned alien from the Asari race who might show you her tender side if you pick the right conversation choices in the game. 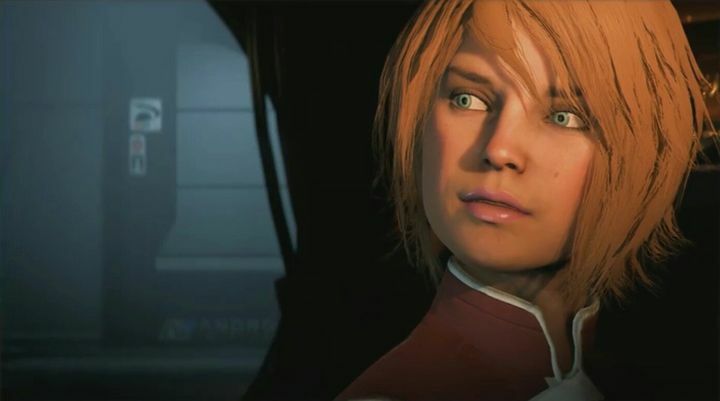 Plus players can also attempt to romance Suvi Anwar, a cute redhead who serves as science officer aboard the Tempest. Of course, nothing prevents players from remaining faithful to their partner throughout their game, but like earlier Bioware games there’s the possibility of polyamorous relationships here, and sleeping around sure is a possibility in Andromeda. So hopefully Bioware will rectify some of the game’s glitches like the wooden animations and other bugs so that players can enjoy this aspect of the game more, even if Mass Effect Andromeda is still overall another top-notch game from Bioware and a welcome return to one of the best sci-fi universes seen in gaming. Next: Will Fallout 4 kick VR into high gear in 2017?